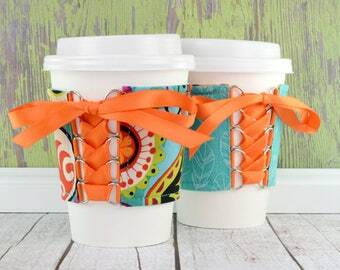 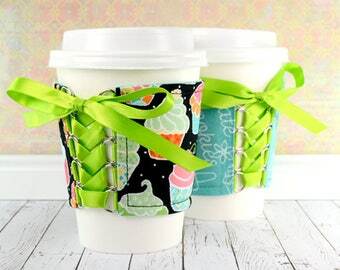 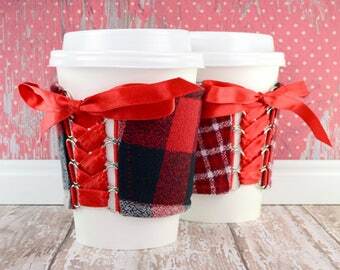 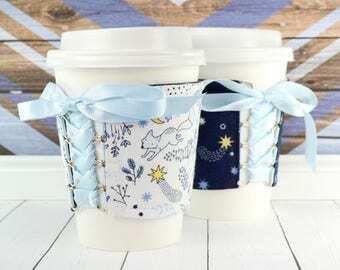 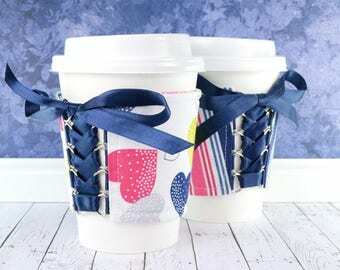 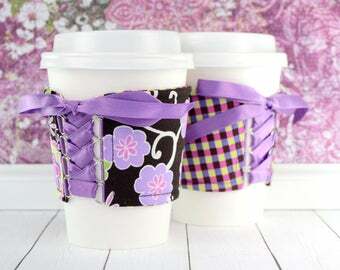 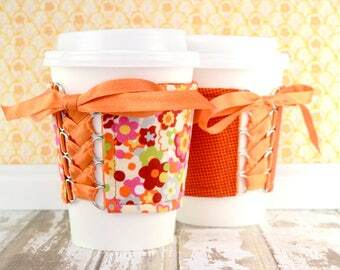 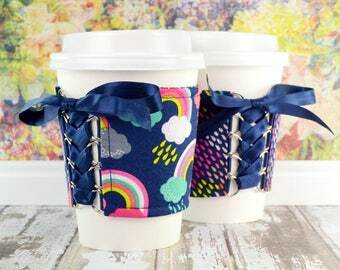 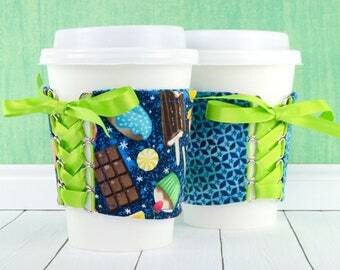 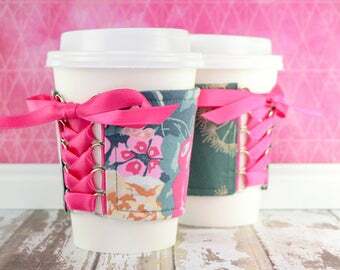 This listing is for ONE (1) reversible, adjustable coffee cup cozy. 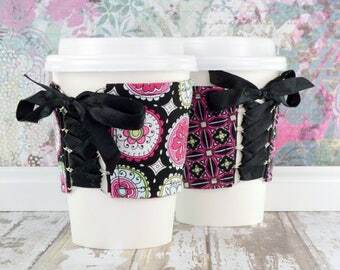 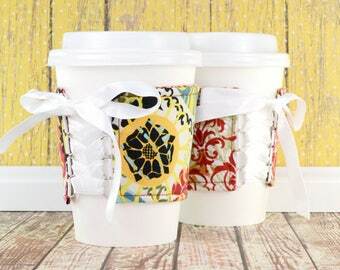 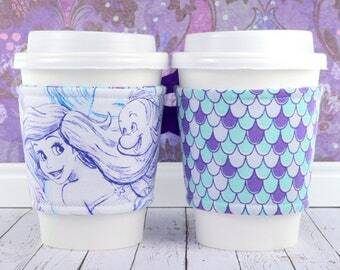 Each cup cozy from the "Lipstick & Lashes" line may vary slightly to the ones pictured. 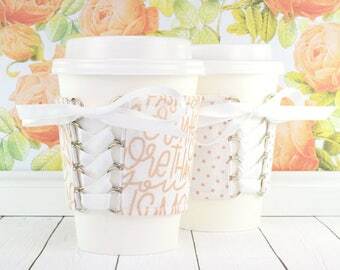 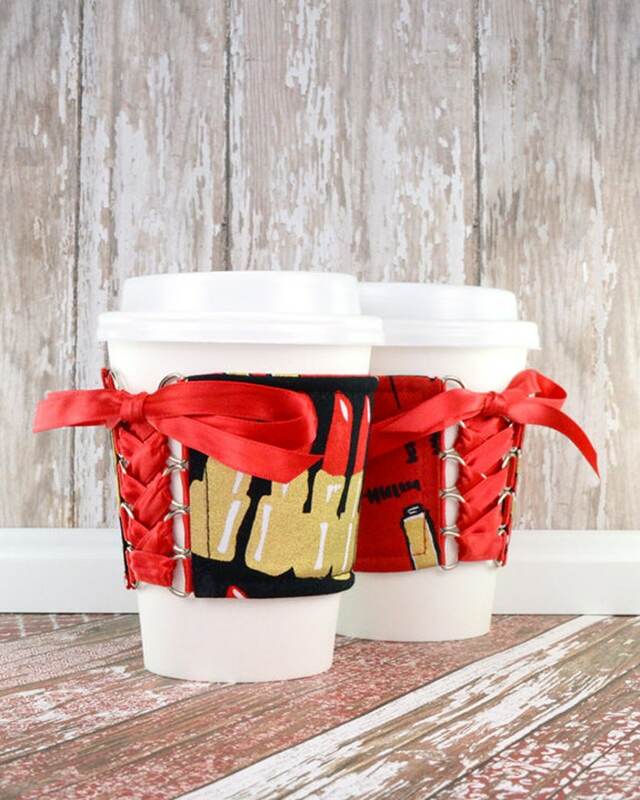 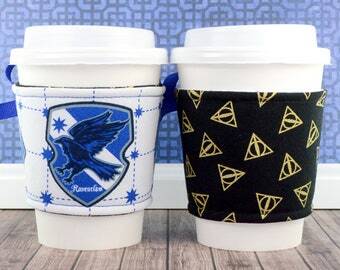 Please Note: This cup cozy has a gold metallic foil finish on the fabric on each side of the cup cozy.